Just a quick photo of the boys. 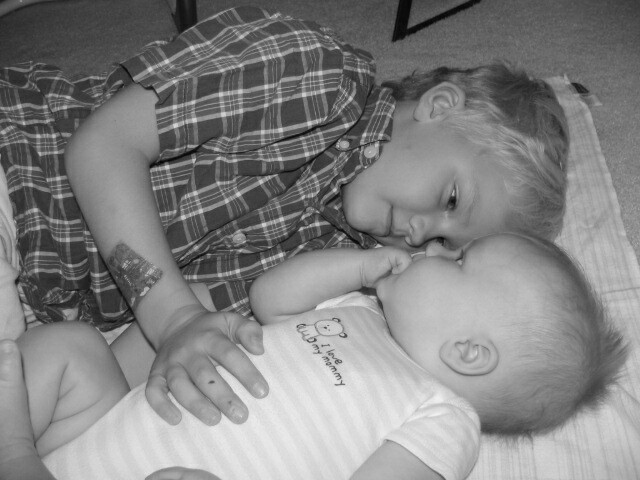 Carter is enjoying being a big brother and Jack could not be any more in love with Carter. He stares at and studies every move Carter makes. It's fun to watch them grow together! OMG! This is the sweetest picture I have ever seen! Does Carter have a tatoo? Yep. This was taken after our trip to Chuck E Cheese's with the Rands.